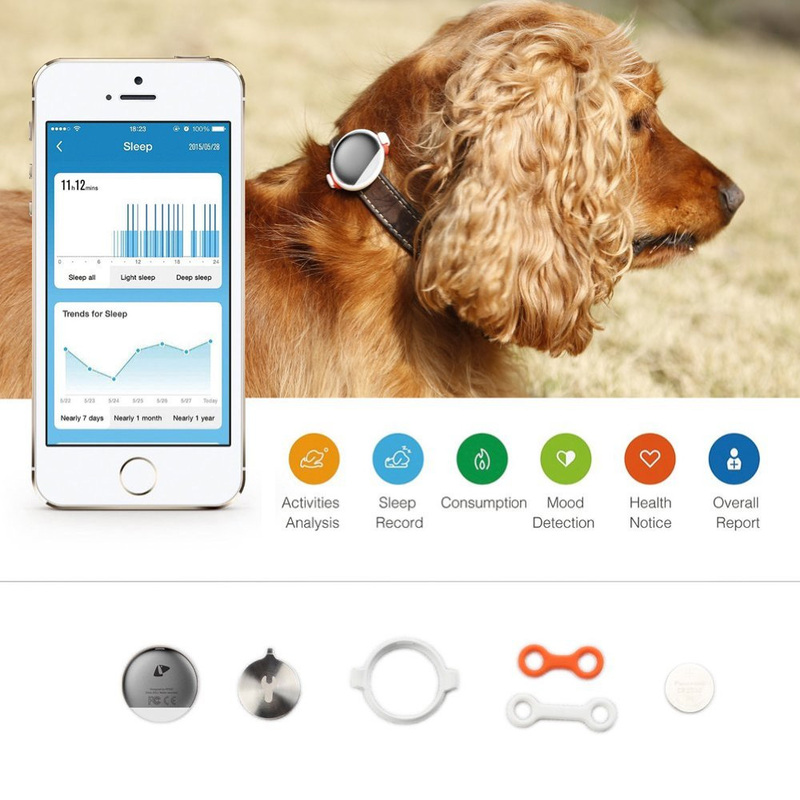 The PETKIT P2 Smart Pet Activity Tracking Device monitors and tracks Movements, Emotions, Health Conditions in addition to both Short and Deep Sleep intervals with a Calorie expenditure indicator built-into the PETKIT Application. The Application is available for download on all Android (Google Play) and IOS (Apple Smartphone) devices, simply download the PETKIT Application and then select the FIT sub-application. 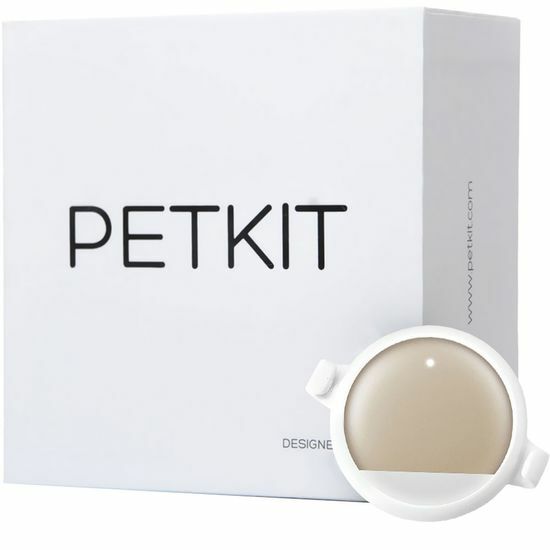 Available in 5 Colors and Weighing in at only 1 Ounce the PETKIT P2 is composed of a modern and durable circular Water Resistant and Micron Sandblasted Aluminum outershell with an included dual rubberized connector piece meant to secure onto all sized collars and harnesses. The P2 model is Bluetooth 4.0 capable and collects and synchronizes all such activity data right into the cloud and onto your smart phone device. Simply Install or Download the application, then Set up a profile for one or multiple pets and you're ready to track! This device features a state-of-the-art built-in high performance processor and a highly sensitive low powered 3D monitor capable of sustaining a 4 - 6 month battery life depending on usage. The application is social active further allowing users to chat with other users, and share, like and post photos or videos. This highly interactive application also features a built in calendar which further enables users to set Medical, Feeding, Grooming, Deworming, Vaccination, Deflea among other reminders and right onto your smart phone device. 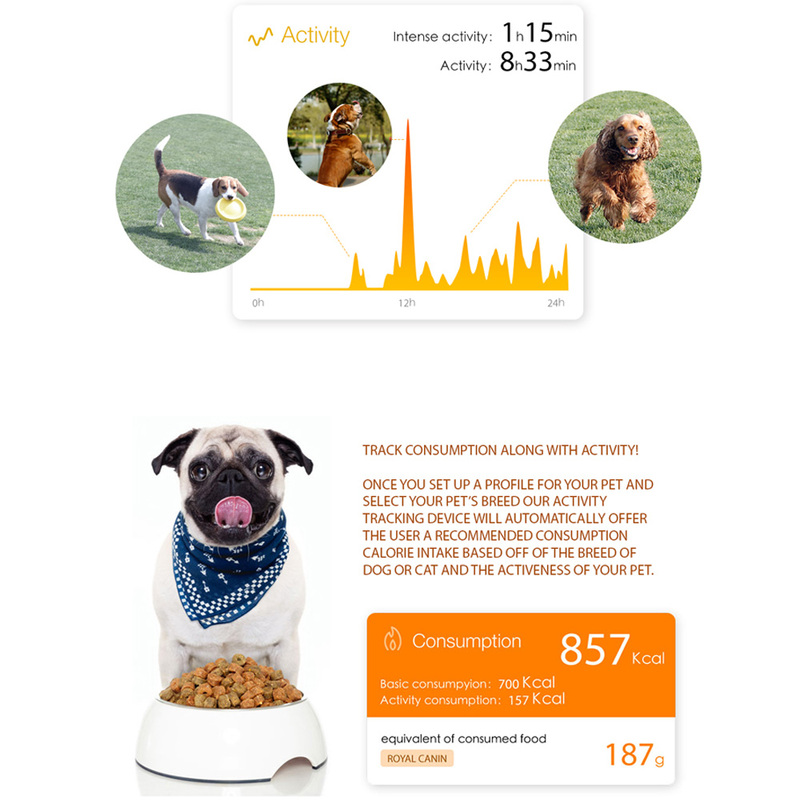 The Application for the PETKIT P2 Device also tracks food consumption for those users whom have purchased any PETKIT FRESH Smart Bowl. 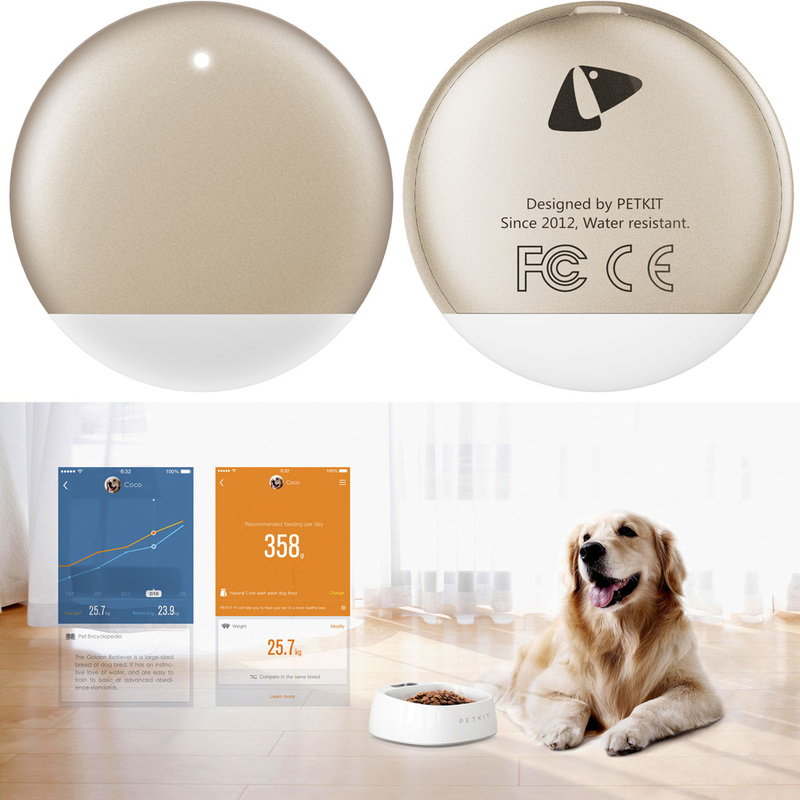 Once Food Information is entered into the PETKIT FRESH Application the P2 Activity Device will further track the amount of calories consumed and calories expended as the worlds first real time diet and activity monitoring device. Includes Batteries. This product comes with a 1 year warranty. The PETKIT FRESH is sold separately. CASING: Lightweight Aluminum IP67 Water Resistant Casing. PROCESSOR: 32 Bit ARM Processor. WIRELESS: Bluetooth 4.0 Low Energy. DATA STORAGE: Approximately 1 week. BATTERY TYPE: Included CR2032 Lithium Battery. BATTERY LIFE: Approximately 4 - 6 Months.